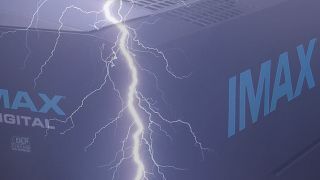 IMAX CTO Brian Bonnick has admitted that the company's digital remastering process throws up some amusing problems including stealing Harry Potter's lightning and taking the grain out of Mission Impossible's sandstorm. In the midst of a lengthy interview with TechRadar, Bonnick touched on some of the reasons why the company works so closely with the filmmakers when making an IMAX print. "One of the funny things we had was in Mission Impossible: Ghost Protocol where they had the sandstorm scene, the sand in the scene looks like grain so when we did our grain reduction we took the sand away," said Bonnick. "It's obviously not what they wanted to do so we had to write new algorithms to take into account the nature of the sand they used - it wasn't real sand it was created in post-production." "Then, in one of the early Harry Potter films they had these flashes of lightning. When it came in the software thought it was an anomaly because you had dark and then a couple of frames of brightness, so it fixed it! We obviously had to go back and put them back in. "The point is that its a very interactive process with the filmmakers - they are so creative you can't tell them this is how you do it you have to work with them." This is our longest Blip ever...want proof? Check out the rest of our blips. This is your Twitter life!